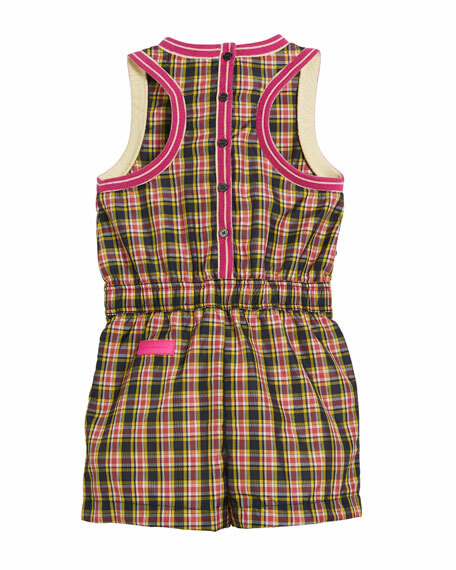 Burberry "Pollie" woven romper in plaid. 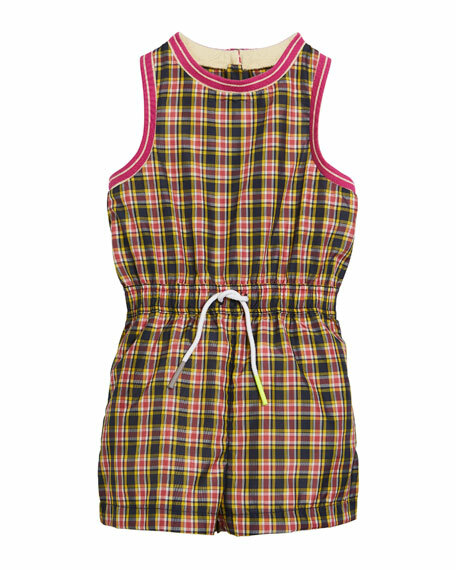 Elasticized waist with drawstring detail. For in-store inquiries, use sku #2519206.